« Remembering the Battle of Gettysburg and the symbols that remind us of its meaning. Paul Goldfinger©. Seaside Heights. Sept. 16, 2018. There are dogs and bikes on the boards. Click to enlarge. 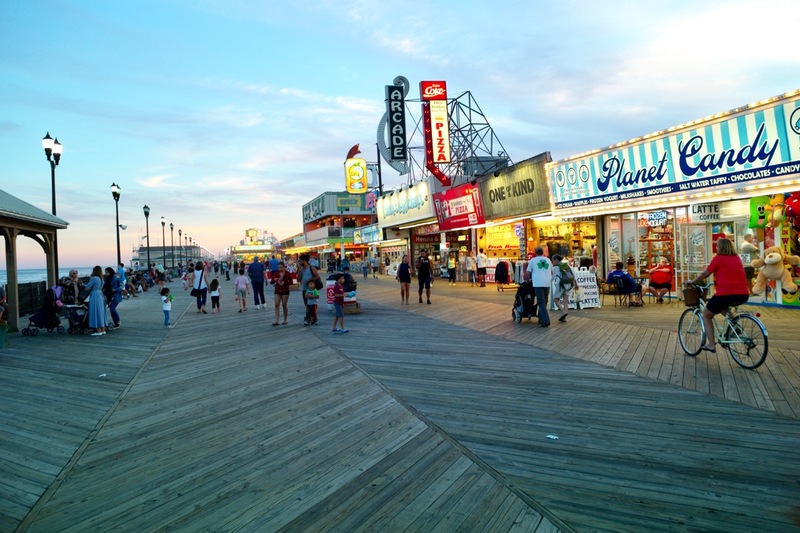 Seaside Heights. Paul Goldfinger photo © 9/16/18 Click to enlarge. Last week the entire stretch of beach was closed for several days due to bacteria in the water. The DEP said that part of the problem related to seagulls who were at the shore in greater numbers taking advantage of the warm and calm water, catching bait fish. In addition, a couple of days ago, there were bad rip tides, and one man who was swimming at 7 pm got caught and was killed. This evening, the crowd was relatively small. The sausage pepper and onion sandwiches had that nostalgic flavor, enhanced by that seashore aroma in the air, which we, for some reason, don’t experience much of in the Grove. A slice of pizza was huge, and the Kohl ice cream stand was going to close early. Lucky Leo’s has been there since the 1950’s, and 3 Guys from Italy were right where I left them years ago. Security guards were shutting down the rides on the pier. Surprisingly, a long beautiful stretch of barren prime beach and boardwalk was empty, evidently the residual of some developer wars in town, reminiscent of our North End in Ocean Grove. 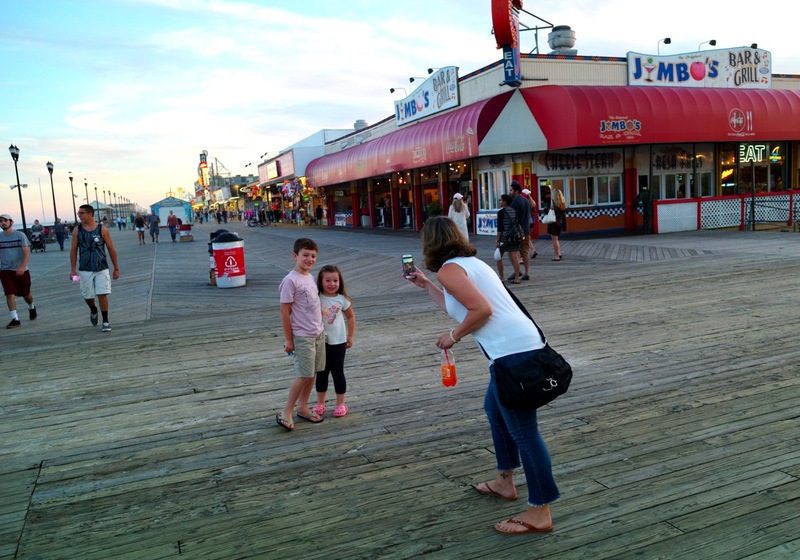 But, there’s nothing like the Jersey Shore when it comes with the familiar accessories of families, boardwalk food, kids, rides, teenagers on the make, games of chance, and the smell of the sea.